Berlin-based producer Lotic (aka J’Kerian Morgan) is performing New York’s Secret Project Robot on August 12. TRADE is celebrating its one-year anniversary with a party at Berlin’s OHM on September 7. The evening includes live performances and DJ sets from Lotic, who was interviewed last year on aqnb, Zakmatic, Ande Pramuk, Bill Kouligas, Dan Bodan, Dis Fig, LINNÉA, Konx-om-Pax, Crooked Waves, Ausschuss, Simon Kaiser, DJ Ayo plus special guests. Lotic. Photo by Elias Johansson. The second #C2CMLN festival is on in Milan, running in parallel and in collaboration with MiArt fair, running April 7 to 9. The Club To Club event, that also runs in Torino alongside ARTissima and carries on the notion of bridging the gap between music and contemporary art, is in its second year in the Italian city and performances will happen in novel venues such as Magazzini Generali, BUKA, and Santeria Social Club (SSC). GFOTY, Arca, Babyfather, M.E.S.H., Lotic and Micachu are some of the highlights playing over the three day programme, ending with a talk and screening the Italian New Wave on April 9. 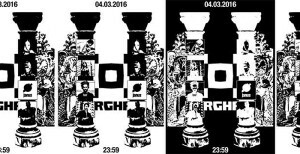 The Janus collective is putting on an impressive line-up of international producers at Berlin’s Berghain/Panorama bar on March 4. 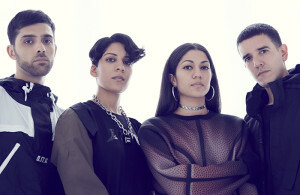 Performing will be NON Records co-founder Chino Amobi, influential La Paz-based producer Elysia Crampton and Lorenzo Senni. Also on the bill are Janus-affiliates KABLAM, Lotic, and M.E.S.H., as well as Fade to Mind artist Total Freedom. A number of these artists recently performed at Amsterdam’s Paradiso for Sonic Acts 2016 under its theme of ‘Dark Matter’ and emerge as a part of a growing movement towards a more networked and globally aware approach to electronic music production and distribution. You can read a couple of interviews with Lotic and also Elysia Crampton on aqnb. La Paz, Bolivia. Courtesy Elysia Crampton. The PAF Festival of Film Animation and Contemporary Art is on at the Czech city of Olomouc, across venues from December 3 to 6. Going under the theme of ‘What is Animation?’ the festival’s focus is on what the press release calls an “updated view of the history of film animation and the current trend of connecting animation with spatial-light experiments. The programme follows the recent Festivals of Live Cinema held in New York and the Norwegian city of Stavanger – PAF New York and Screen City Moving Image Festival respectively – and will host a number of events, including exhibitions, screenings, lectures, presentations, workshops and live audio-visual performances. PAF also welcomes guest curator Pavel Ryška, with his Wild ’60s section of the programme that is one of several other ones that include the Other Visions Czech animation competition, Aport Animation and PAF Art, as well as Animation Beyond Animation, which will include contributions by Lotic, Vessel, Samson Kambalu, Takashi Makino, and TCF. Header image: Lars TCF Holdus. Björk is playing the Citadel Music Festival in Berlin this week, taking the stage of August 2. Playing songs from her latest album, Vulnicura, which deals with her separation from husband Matthew Barney, the performance will be classic Björk: melancholy and supernatural in turns, with otherworldly instruments, psycho-poppy visuals, and a general air of alien and distressed beauty. 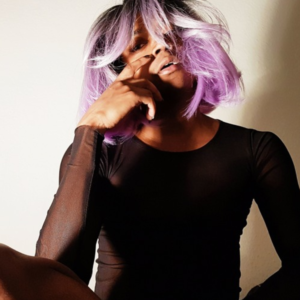 Opening for Björk will be the Venezuelan producer and DJ Alejandro Ghersi, better known by his stage name Arca, and Houston-born producer J’Kerian Morgan, better known as Lotic. XOYO have teamed up with legendary London station Rinse FM to bring a slew of heavyweight musicians to their Shoreditch venue this Friday, June 26. The one-off event, hosted by Boxed with residents Mr. Mitch, Slackk, Logos, and Oil Gang, brings American artist Lotic (with whom with have a recent interview) and Woofer Music boss Faze Miyake, as well as Tri Angle‘s Evian Christ headlining. 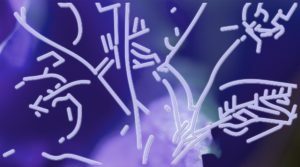 Other acts include Berlin’s Soda Plains, Sad Boys producer Yung Sherman, experimental producer Darko, and the rising star Felicita make this line-up too. “There were a lot of things that were telling me to leave”, says Houston-born J’Kerian Morgan, in bed and on camera from his Berlin base. “Me and my boyfriend at the time literally sat down and brainstormed: ‘what can we do to get out of here?” Better known as producer Lotic, Morgan has been calling the German city home since 2012. He’s one of a wave of US expats flooding its music scene, along with party organisers Janus for whom Lotic is resident DJ. It’s a collective that includes other artists like M.E.S.H., and Kablam, as well as founders Daniel DeNorch, Michael Ladner and James Whipple, and has released Lotic-produced mixtape Damsel in Distress –with an infinite recycling symbol saying “HYPE, HATE, COPY” –last year. It’s a heavy listen, pulsating with a kind of numbing heat that melts through clonking beats and warped vocal samples like Beyoncé’s ‘Drunk in Love’ and Missy Elliot’s ‘9th Inning’. Following that up with his first EP, Heterocetera, released on the New York-based Tri Angle label on March 2, the sonic pop culture references are gone –or, at least, less recognisable –and a restless, delicate universe of metallic strokes and icy rhythms stands in its stead. “I’m really happy with the back cover because it looks like a skeleton but if you look closely it looks like it’s made out of glass. It shatters”, says Morgan about the EP cover art, featuring the lustrous bones of a “creature with wings” by Munich-based artist Alberto Troia (aka Kyselina) on the front, its fragmented remains on the back. It’s almost like a wordless expression of a world that isn’t quite right, one that’s ensnared in its own mirage of polished strength, but cracks easily. It’s this awareness of a certain fragility that bleeds through Heterocetera, whether it’s in the hocking, heaving bounce of ‘Phlegm’, or the urgent clatter carrying through the sighing pitches of ‘Suspension’. There’s something off in Lotic’s universe, where US-born Americans can’t stand to live there, and techno is a sound invented in Detroit, yet is somehow now ruled by Berlin. Morgan understands this, and it’s reflected in his music, visuals and conversation, where issues of ignorance, prejudice and the internet are as streamlined as the systems that perpetuate them. Do you think being in Berlin that you’re treated differently? J’Kerian Morgan: Um… yes… no… it’s different. I’m definitely more comfortable, I feel safer. I’m probably not going to get shot on the street. But then I don’t speak the language very well and I am still playing a very strange kind of music for the general setting that I’m in. I’m still super-comfortable but, I mean, racism still exists. Here it’s more like this exotic vibe thing where they are still very curious because they don’t know anything about where I’m from, which is fairly innocent. It’s not okay but people aren’t like, assuming I’m a bad human being, or up to no good etcetera, etcetera. Also, being gay here is really easy [laughs], which is not anything I can say about anywhere in Texas, and I hear a lot of bad things about New York too, actually. That’s what’s so interesting about the US, when you think about popular culture. You might get an impression of the country being a liberal one but it’s actually pretty conservative. JM: It’s so insane. This is a huge thing that Austin prides itself on, specifically. Especially being in Texas. It’s like, ‘okay, yes I can ride my bike to school but this is still Texas. There are some things that you can’t believe in. It becomes a very specific kind of liberalism. Like you have to be a vegan, or you have to ride a bike and it’s like, ‘no, how is this freeing for anyone? This is like a very specific lifestyle’. You have some noise elements in your music, is that a result of that kind of homogenously rock environment? JM: Those are just my own personal interests. Growing up in Houston, there was a super strong hip hop scene, with DJ Screw and his whole universe of friends and colleagues, but he had this approach – which I hadn’t realised was actually pretty experimental until later. I sort of got sick of hearing just the music on the radio. I always enjoyed it but as I was getting older I was getting more interested in hearing stuff that I hadn’t heard before. I kind of started with other radio stations and took it all the way to the other end [laughs], to songs made of pigs being slaughtered or something like that, over the course of years. I was trying to go as far as I could go in terms of discovering sounds. When I got more serious about making music I wanted to incorporate all of those things into my own. Also discovering things on the internet, and this community of people on the internet, that were interested in similarly strange or unusual ways of making music. That helped and encouraged me to keep doing it. So I was like, ‘okay, I’m not the only one doing it, I can maybe make this work somehow’. It’s funny that the internet was meant to bring the world to you but seems to have sent you out into the world instead. JM: Yeah, I’m so happy to be in Berlin because I do have more real access to people. I can go to someone and touch them, and talk about music. I was never super interested in having ‘internet friends’. It’s a thing that happens, but I never wanted to be one of these internet-based artists; to just have tonnes of connections because you’re on, whatever, Soundcloud or Twitter all day. I always felt like I was isolated already [laughs], so I didn’t want this further isolation from the world. But yeah it’s funny, we talk about the internet connecting you to the world but it can easily become the only connection that you have. Heterocetera EP cover (front). Artwork by Alberto Troia. I was thinking about this idea of ‘networking’ detracting from the merit of the work itself, how it’s being exacerbated by online networks. Because not only do you have enough connections to help you gain notice but you become more desirable to online media based on those connections. It’s more insidious than just knowing a bunch of people who can help you. JM: It is, and also the fact that music itself is made for the internet. It’s like, ‘can you actually play that on the radio or in the club? What is the function of it?’ Not that I think that music needs to be functional in any way but there’s a specific thing that happened culturally when Soundcloud made it easy to reach millions of people. There is a very dark element to this sort of internet music community. You use that Masters at Work ‘The Ha Dance’ sample in ‘Heterocetera’, as a sort of tongue-in-cheek reference to how overused it is in electronic music. It’s as if that Voguing compilation came out in 2012, everyone heard that and thought they knew everything about House Ballroom. JM: Yeah, it’s very strange. 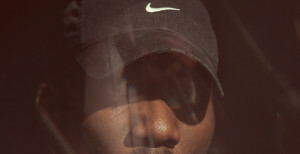 You also can hear similar things happening with this ‘new grime’ thing. It’s like, ‘ok, how many space-ish tracks with vaguely video game-esque sounds can I make?’ ‘How many more times are you going to do that, and keep grime where it is? At some point you’re going to have to have an actual emcee on your track’. How does it feel then being in Berlin and outside of this mostly white techno scene, when techno wasn’t white in the first place? Not to say that I’m doing something that is historically important, but I always have this reaction that’s like, ‘is it because I’m black?’ I have trouble detaching the experimental nature of what I’m doing from just being there doing it. 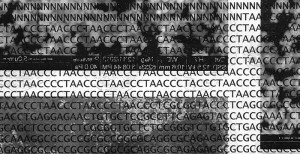 Heterocetera EP cover (back). Artwork by Alberto Troia. JM: Definitely, and so my visuals, and the music too, is always an attempt at trying to steal this attention just for one second. If you’re scrolling through a bunch of artworks and you stop on mine, then I’ve succeeded somehow [laughs], even if it’s only a tiny, tiny victory. That’s also the idea for the Janus posters. If it will make you pay attention for one second, then that’s good for us, whether or not we succeed, it’s impossible to know. 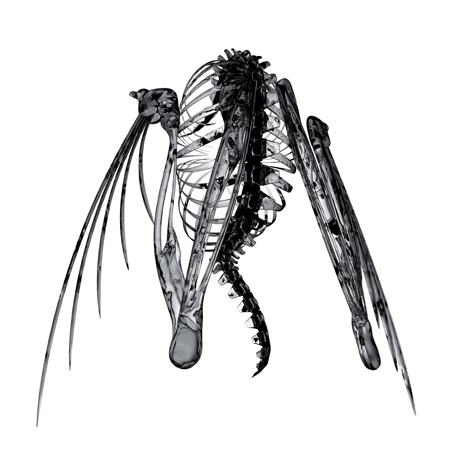 Lotic’s Heterocetera EP was out on Tri Angle, March 2. 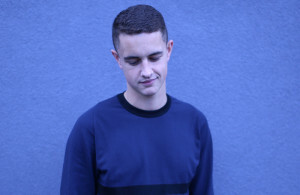 He plays London’s Corsica Studio on March 6, 2015. 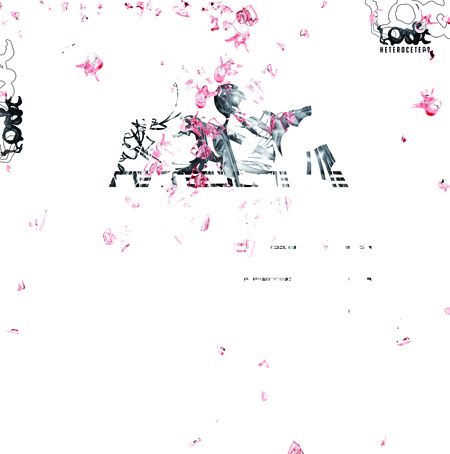 Header image: Lotic. Photo by Elias Johansson. 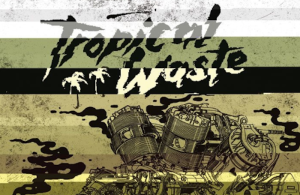 Online platform and NTS radio show Tropical Waste is throwing another party, this time with music from Lotic and Felicita to fill out the airwaves, taking place at The Waiting Room in London this Thursday, December 11. The radio show/music blog/party throwers, Seb and Iydes, have been on the scene since 2010, following new movements in electronic music through their two-hour monthly radio broadcasts from 2011 and regular club nights from April this year. Thursday’s show brings “Berlin resident, Janus crew member, and self-proclaimed ‘club terrorist'” Lotic with his UK debut, followed by Gum Artefacts/PC Music associate Felicita (who we flagged for interest here) and resident DJs (and persons behind Tropical Waste) IYDES and Seb.